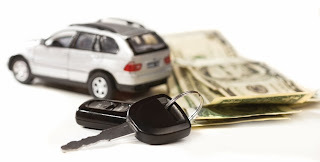 By considering these eight aspects of each auto loan, a customer can find financing that provides particularly low payments, a duration that is convenient for the buyer and terms that will allow a driver to alter most aspects of the loan while it is being paid off. Many conventional banks and credit unions will thoroughly inspect a patron's credit history and even the customer's monthly expenses before offering the person a loan. In contrast, an independent lender may provide pre-approval online without even checking the customer's credit score, and in order to be preapproved, a buyer needs to fill out a form that requests basic information and proof of the customer's monthly income. If you do have a less than impressive credit rating, a credit provider can help you out with obtaining finance. The rate that a lender will charge depends on a number of factors, such as the value of the automobile, the length of the payment schedule and the patron's credit history. Some lenders charge a lower interest rate but include a hidden monthly fee in each payment. To evade extra fees, a buyer should bring a calculator to the dealership and independently compute the prospective monthly payment of each proposed deal. All lenders require a driver to sign up for a car insurance plan before obtaining a loan; however, some insist that the customer acquires a policy with coverage levels that are far above the state's minimum requirements and deductibles of $250 or less for both comprehensive and collision coverage. Dealers encourage their representatives to obtain a down payment that accounts for at least 20 percent of the automobile's total value. In order to successfully compete with large dealerships, some independent financial institutions allow buyers to make an initial payment of $500 or to finance the down payment as a part of the loan. Before bringing an automobile to a dealership to trade in, the patron should research and determine the car's value for private sellers and have the automobile inspected by a mechanic who will provide a full, written assessment of its mechanical condition. The customer should also have all scratches or scuffs on the car removed by an auto body shop because numerous studies have shown that motor vehicles that have no dings or scratches receive a price that is 35 percent higher on average than those that have small blemishes. Financing that has a condensed payment schedule will usually provide a significantly lower interest rate, but the monthly instalments will be much higher. In contrast, a car loan with a long duration, such as a payment plan that lasts for 60 months or 72 months, will offer monthly payments that are greatly reduced. Additionally, a patron can improve their credit score and has the option to refinance the vehicle at a much lower interest rate during an extended payment plan. The conditions of an auto loan should allow a buyer to make late payments without any extra fees, select the date of every month on which instalments are made and even alter the duration of the loan before it has been fully paid. When obtaining a car loan, a customer should also acquire a service plan that covers various types of routine maintenance, such as installing brake pads, replacing the oil every 5,000 miles and installing new tires.